Due to our immense capability in this work domain, we have brought forth a huge variety of Digital Stopwatch. Specifications: - Minimum calibration of sec regs (s) : 0. 1 - Running time (h) : > 6 - Time for 1 rev of sec regs (s) : 30 - Time for 1 rev of min regs (m) : 15. 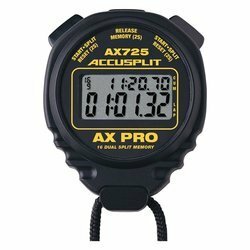 We are a reputed Digital Electronic Stopwatch Supplier in Ludhiana, Punjab. These Digital Electronic Stopwatches are obtained from the well-established brands that manufacture them using best quality components and modern technology. 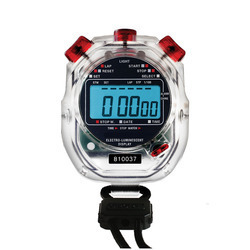 These Digital Electronic Stopwatches are 1/100 second from Brand Pacer and are very reliable and accurate. An economical water resistant stopwatch. Events can be timed to 0.01 second accuracy for up to 30 minutes. Includes a 12/24 hour clock with day/date display. Uses Used agressively for race, games & other timed activities. Shows minutes, seconds & 1/100 seconds on easy to read display.